I’m skeptical when I hear, “easy as pie.” I have mastered cookie, cakes, cupcakes, and some candies, but pie crusts are not in my portfolio. That’s why Mrs. Smith exists! But, when I tell you this recipe is easy as pie, I really mean it is a “piece of cake.” Yep, that easy! 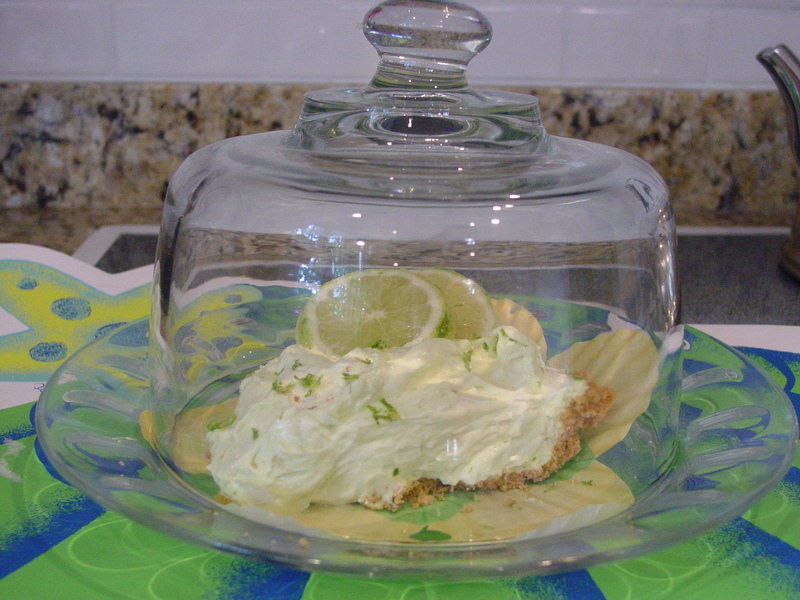 I first got this recipe from my SIL because it’s a sugar-free recipe, and I’m always looking for those. The original recipe calls for a packet of Crystal Lite lemonade mix. I just changed it up a little. And the next-to-best part is: This is all you need. Directions: Combine pudding mix and milk. Beat until smooth and slightly thickened. Place in refrigerator for just a few minutes to further thicken. Then stir in the drink mix and the Cool Whip. Pour mixture into 2 (Yes! 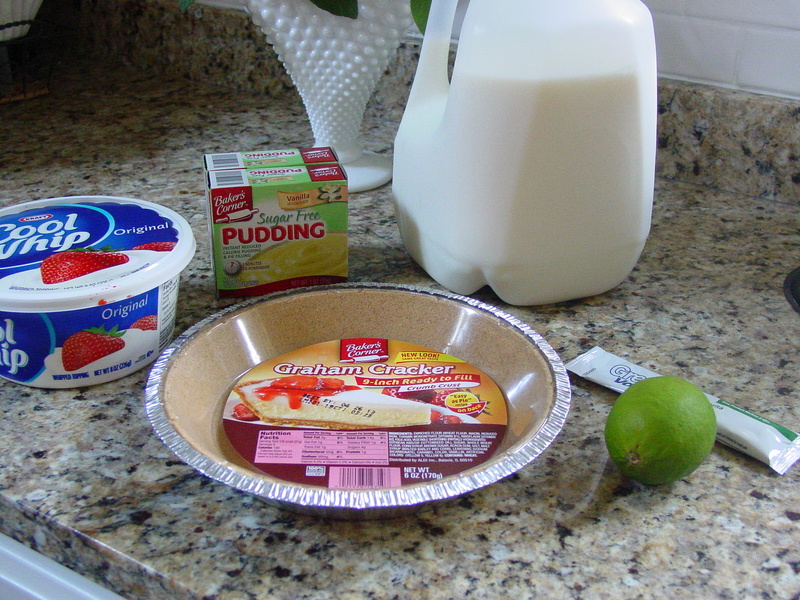 It actually makes 2 pies) graham cracker pie crusts and refrigerate. This is what you get. 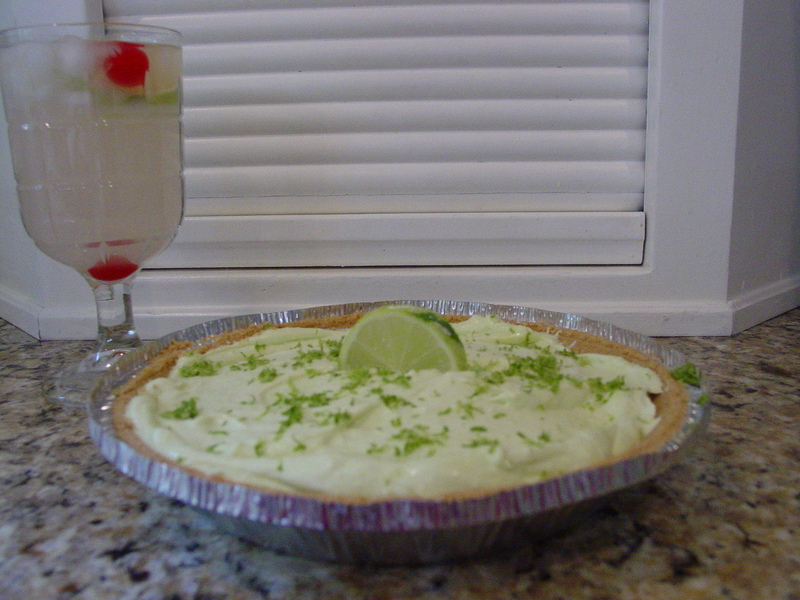 I sprinkled a little lime zest over the top just for presentation. And this is what you get. Yummy. Easy as pie! I promise.